Links to all the federal courts' websites and includes a map for visual display of the 13 circuits. The Federal Judicial Center is the research and education agency of the federal judicial system. It was established by Congress in 1967 (28 U.S.C. §§ 620-629), on the recommendation of the Judicial Conference of the United States. Search and Browse Georgia Court of Appeals opinions from 1997 to present. Search or browse Supreme Court of Georgia opinions from 1997 to present. State supreme court and appellate case law for all 50 states. Coverage from 1997 to present. Search for US state appellate and supreme court cases since 1950. Ability to limit search to specific court, such as "Georgia Court of Appeals." Browse case law from the Supreme Court of Georgia from 2008 to present. Select state under "State Courts." Coverage and scope will vary depending on state. Browse opinions from 2011, 2012, and 2013. Links for supreme court and court of appeals opinions. List of states with links to case law for each state. Coverage varies by jurisdiction. The Oyez Project is a multimedia archive devoted to the Supreme Court of the United States and its work. The Project provides abstracts for only a portion of cases decided by the Supreme Court of the United States. They have provided abstracts, audio and other materials when they have it, and they do provide links to opinions in every case decided by the Court back to 1793. Search for US Supreme Court cases since 1791. The Legal Information Institute (LII) by Cornell Law provides all of the Supreme Court decisions after 1990 and over 300 of the court's most important decisions in it's historic collection. This database contains the full text of 7,407 U.S. Supreme Court Decisions issued between 1937 and 1975. This is the Court's official Web site. The docket page provides information regarding the status of cases for both the current term and the prior term. Users can search by using a Supreme Court docket number, a lower court docket number, or a case name. There are also links to court rules, opinions, and orders. The opinions are posted on this site within hours after the bench opinions are issued and remain posted until the opinions are published in a bound volume of the U.S. Reports. Powered by FastCase. Free account registration required. U.S. Supreme Court cases from 1754 to present. May search by case name or citation (no fields provided, just enter the citation/case name into the search box). May limit by date. Allows users to browse recent opinions of the Supreme Court and browse opinions by which Justice authored the opinion. Opinions and other transactions from the United States Supreme Court, beginning with its first session in 1790. The Database contains over two hundred pieces of information about each case decided by the Court between the 1953 and 2008 terms. Links to get the case opinion from a free or subscription website. Browse cases by volume or year and view recent opinions. 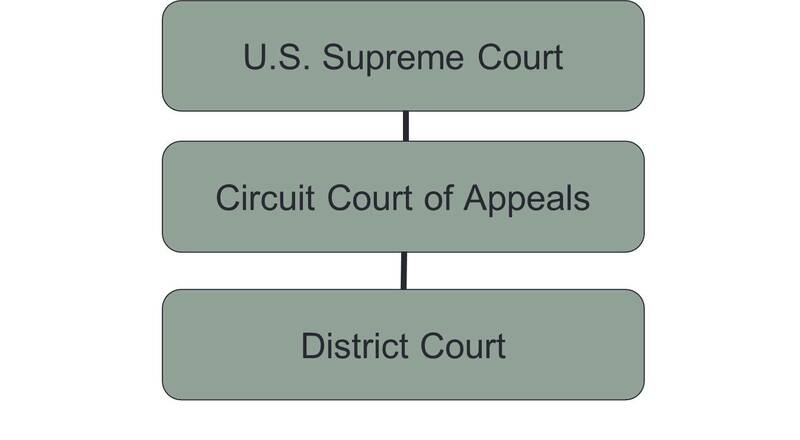 Opinions of the federal courts including the United States Courts of Appeals. Published 1880-1925. Opinions of the United States Courts of Appeals. Published 1925 to 1993. Opinions of the United States Courts of Appeals. Published 1993-present. Search or browse cases from Court of Appeals for 1st-11th Circuits and Federal and D.C. Circuits from 2000 to present. Search for cases from US appellate courts since 1923. Browse cases from Court of Appeals for 1st-11th Circuits and Federal and D.C. Circuits from 1951 to present. US federal district courts since 1923. Find Federal District Court opinions from 1st-11th Circuits and the D.C. Circuit. Coverage varies by jurisdiction. Browse cases from the Federal District Courts from 2000 to present. Browse from 1999 to present. Search for opinions from 2001 to present. Any opinions that have been posted for the current day. Find Federal Bankruptcy Court opinions from 1st-11th Circuits and the D.C. Circuit. Coverage varies by jurisdiction. Links to most of the bankruptcy courts websites. Opinions contained on the actual court websites.